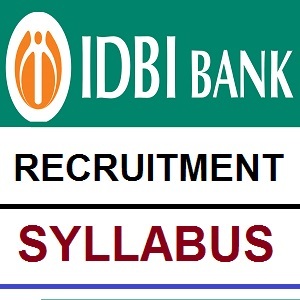 Industrial Development Bank of India will very soon organize the IDBI Bank Recruitment Exam 2018 to fill the Executive posts. Candidates who strongly wish to grab the job at IDBI Bank need to start their preparation now onwards. Here we are providing you the complete syllabus for IDBI Executive Exam 2018 which will help you in your preparations and will give you the structure of the related topics to be prepared for the Exam.